The Professor Molchanov scientific research vessel returned to Arkhangelsk on June 27 with members of the Arctic Floating University 2016 expedition on board. Arctic.ru asked project director Konstantin Zaikov how the expedition went. 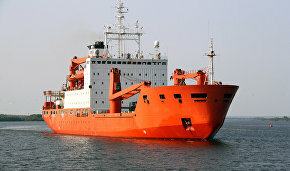 Konstantin, the eighth expedition of the Arctic Floating University ended recently. I understand the team used the Professor Molchanov vessel again. Yes, the vessel belongs to our strategic partner, as represented by the Russian Federal Service for Hydrometeorology and Environmental Monitoring (Roshydromet). We've used it since 2012. Is the ship modernized for each new expedition? Yes, it is upgraded with grants that we receive for the project. The ship traveled 3,300 miles in 20 days. Did you follow the scheduled route or did it have to be altered? The route had to be adjusted due to bad weather conditions, but all research points were reached. Were there any force majeure situations? 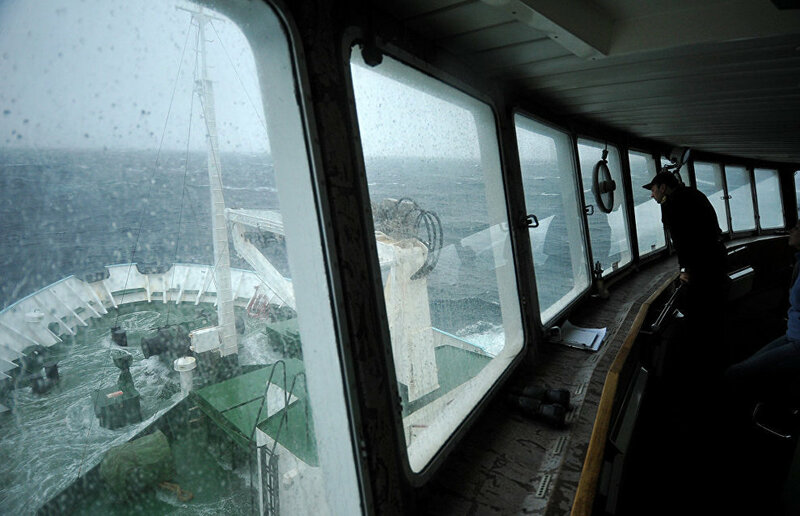 No, only pitching and rough seas. They prevented us from landing on Kolguyev Island, that's all. At the end of the expedition you said you had observed the erosion and destruction of the shoreline. This is not a new development — it was observed previously, right? My point was that we did not discover any new trends but recorded the existence of well-known trends at certain geographical points. Assuming that this was the case, we conducted other monitoring procedures. For example, we assessed how decayed historical and cultural heritage sites are and how bird migration trends and mammals migration routes change. Broadly speaking, items from Pomor crosses, cemeteries and camping sites to Soviet-era Arctic facilities. These are meteorological stations built in the 1930s-1950s and elements of the Russian military presence in the Arctic between the 1940s and the cold war year. 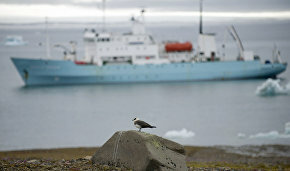 Some reports said scientists have discovered bird populations on Novaya Zemlya whose existence was previously only hypothesized. What are these birds? Previously, it was believed that certain birds migrate to this area but there was no visual confirmation of that. I cannot say exactly how many but there are at least three bird species that have not been spotted in the area before. Can this be regarded as a major discovery? Yes, it is a major discovery. In addition, a complete count of the bird population was conducted (over 40 species were discovered) on Vaigach Island. Our air count was the first in the post-Soviet period. We used modern equipment. What was done on a one-off basis in the 1980s was done with bad equipment, so the air count was not reliable enough, but our data will be put on the GIS (Geographical Information System) map. A separate atlas, Birds of Russia, will be published. During the expedition to Novaya Zemlya's Russkaya Gavan, ancient coral colonies were discovered that date back to 350,000 BC. What is the significance of this for modern science? This information is important for understanding that was happening in the Arctic paleolandscape in the past. In other words, data about the flora and fauna, among other things, help understand basic reference points from which in-depth monitoring can be conducted in the future. In this respect, the discovery is unique of course. On the other hand, the most important geological discoveries on our expedition include data about the movement of tectonic plates, the origin of the plate on which Novaya Zemlya is located. In the future they will allow us to estimate the archipelago's resources and geological capacity. What other research was conducted? Medical and biological research related to the vascular activity of the indigenous population. About 60 people were examined. These data make it possible to assess the organism's adaptation mechanisms, because climate change affects bodily functions, including the cardiovascular system. These are very important, fundamental research data. We will need to decode them. When should results be expected? We will not be able to present them before December because they need to be analyzed with special instruments, and described. Next year the expedition will take place under the auspices of Environmental Year in Russia. Will you receive some benefits as a result? Additional funding perhaps? Let's hope that we will. However, so far there are no indications of that. We will work on this in the summer and see what we can find out.